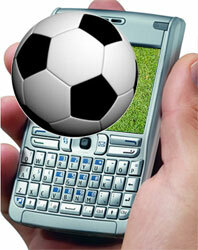 MobiAD » Mobile Advertising News » Euro 2012 On Your Mobile – A Big Hit With Fans! A Big Hit With Fans! With Euro 2012 just recently finished, O2 Media has released some information about how football fans stayed in touch with the championships via their mobile device. They found that a huge percentage of fans relied on their mobile in some manner to follow the matches, even to the point of watching a live match on the phone. The survey found that 91% where getting their tournament stats and information via their mobile device, while 79% actually said that their mobile device was their preferred way to keep up to date with developments.